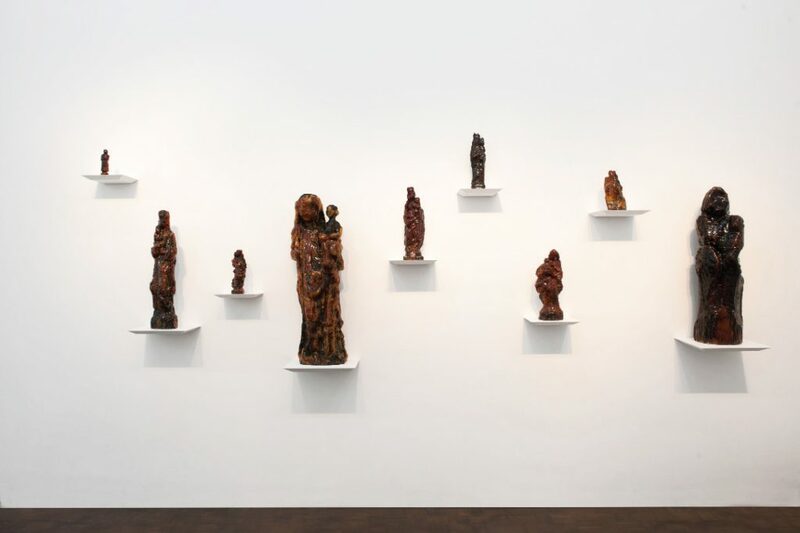 Either solipsism or selflessness is the kind of interaction occurring between the viewer and Fabrice Samyn’s works in his fifth solo show at Meessen de Clercq. 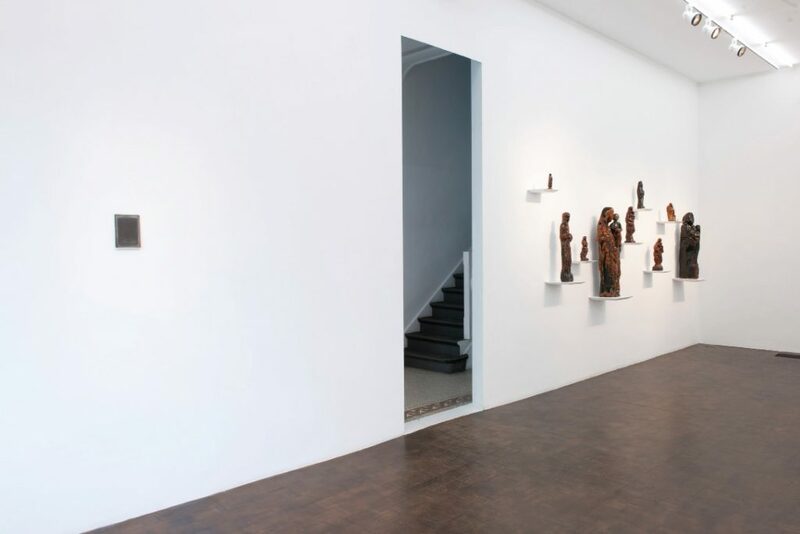 For this show Samyn presents five series of works and individual pieces that are placed in four different sections of the gallery, establishing relationships of meaning and creating a compass of time among themselves. 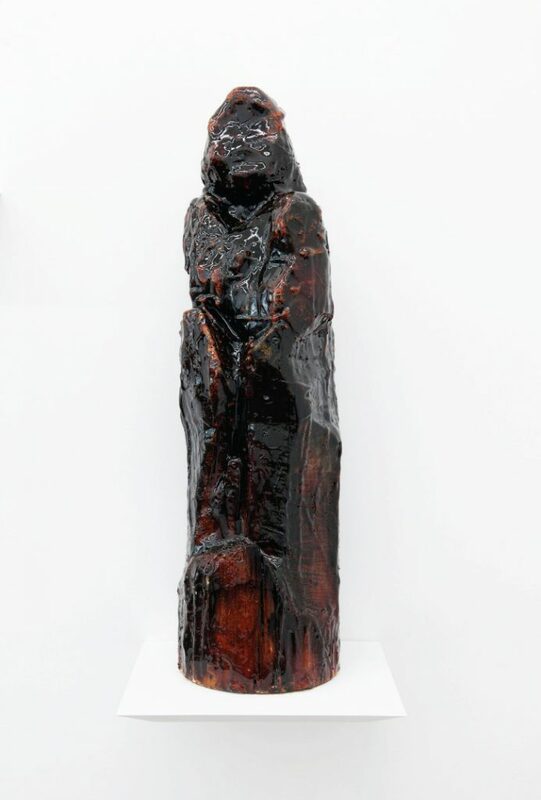 In the space called ‘The Twilight of Idols’ we find ‘Black is Virgin’, a group of icons made of burnt wood covered by the glow of melted resin. It is only possible to guess their shapes because of the stiff postures shrouded in draperies that quickly trigger our memory with images of saints and relics. Across from this piece, we are faced with ‘Burning is Shining’, burnt wood panels with a painted golden flame. 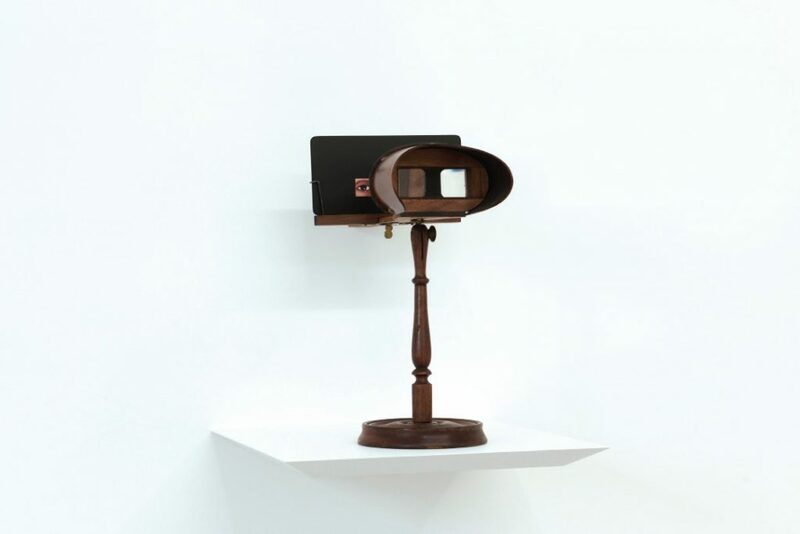 These objects that delude us because they appear to be historical artifacts lost in time take the viewer back to the eighth century – the iconoclasm and the defeat of the image. 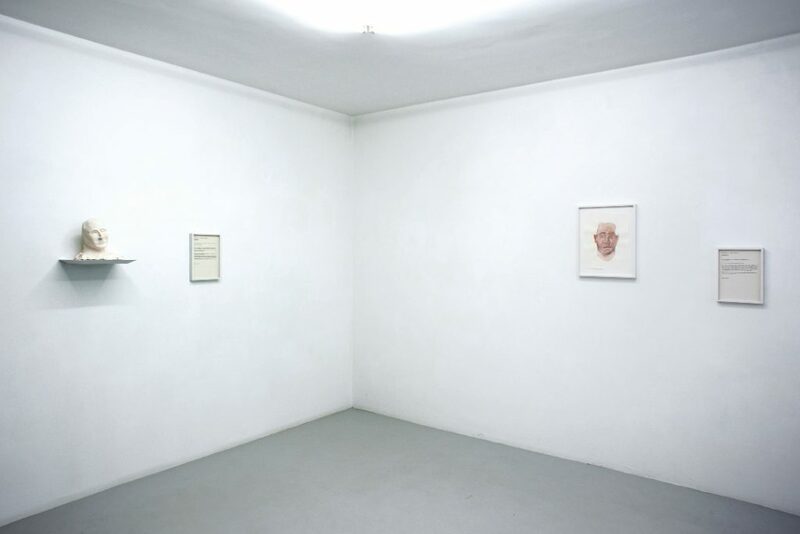 It is in this first room that Fabrice Samyn raises questions about the historical distrust of the image and vision (a suspicion that follows us throughout history since Plato, with the condemnation of the phatastiké [simulacrum] and the eidola). The set of works in this room are completed with the presence of glass negatives (‘Pictures Before you were Born’) with images of fetuses that are no longer visible. 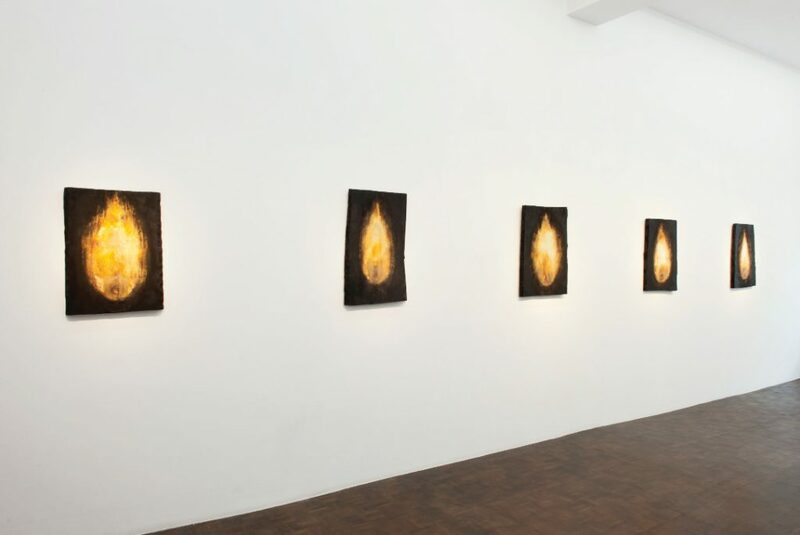 Black Virgins with child, burning shining flames, and photographs of the creation of life are the materialization of the invisibility (of what is not shown or seen) of life before birth. References to the invisibility of death are materialized in the opposite room. 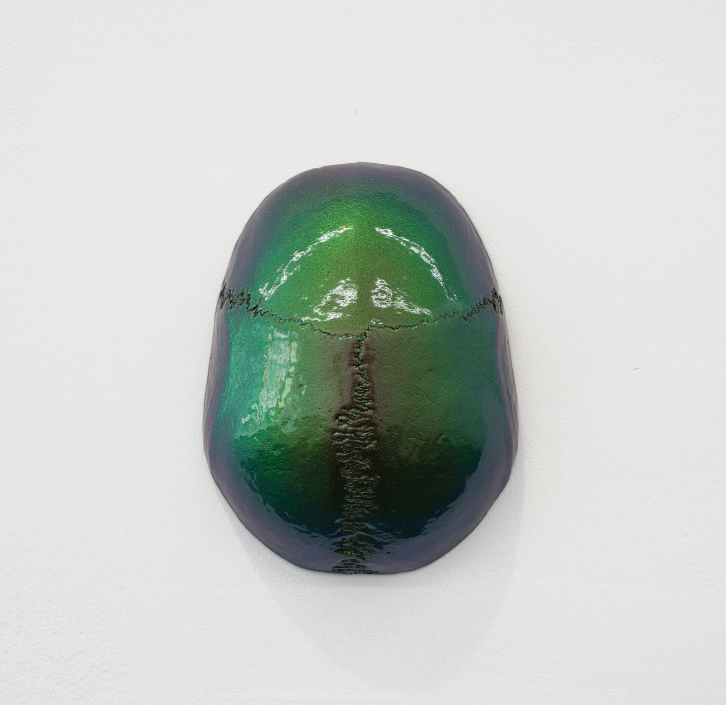 The representation of a recumbent body covered by a silvery glass drapery; an iridescent green skull (a reference to the Egyptian scarab); and a self-portrait of the artist as a bubble of air or water strengthen the idea of our ‘sightlessness’ towards the passage of time (what we are not able to see), which can only be materialized through art. In the work ‘The Color of Time’, Samyn poetically shows how to encapsulate time. 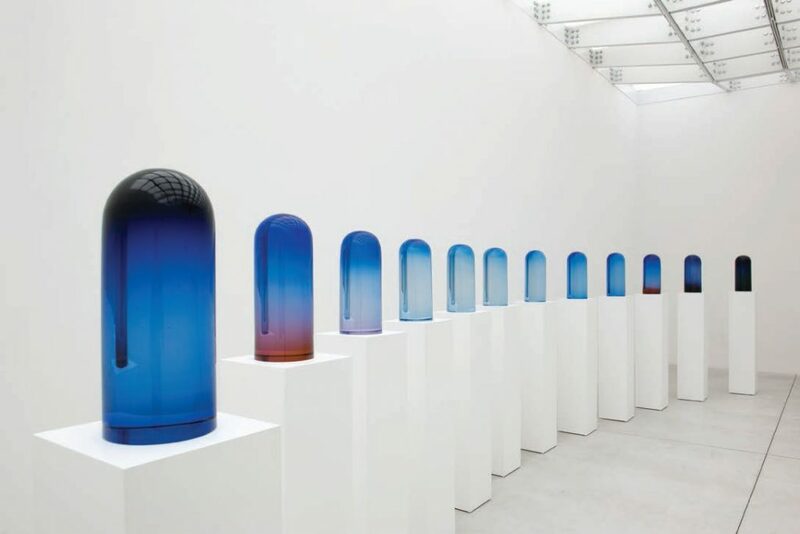 Twelve colored glass globes are arranged in a semi-circular, horizontal sequence going from dark blue tones, purple, light orange, pink, and light blue. Every hour of natural light is contained in a transparent capsule of solid glass. 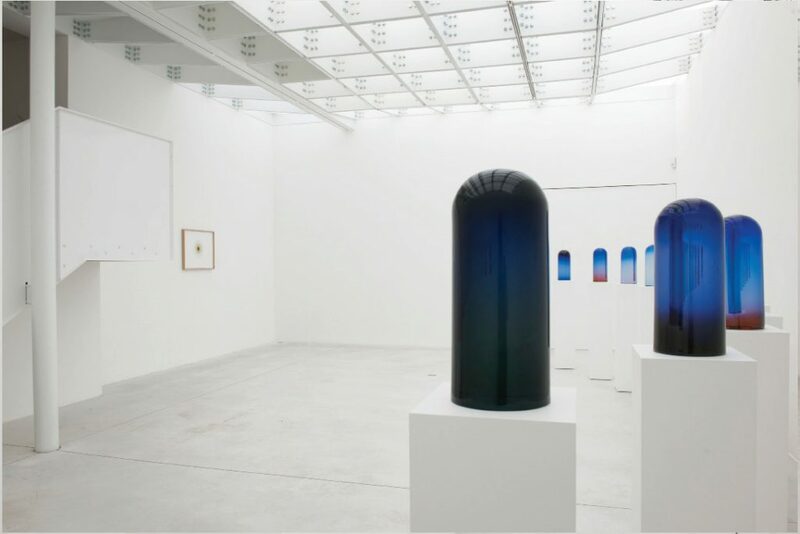 A poetic approach to the human condition of visuality, of being able to see light and color, while the ‘sightlessness’ is imposed upon its absence. Above all, Samyn addresses time as a universal and omnipresent element, a background of all historical moments, times, and events. 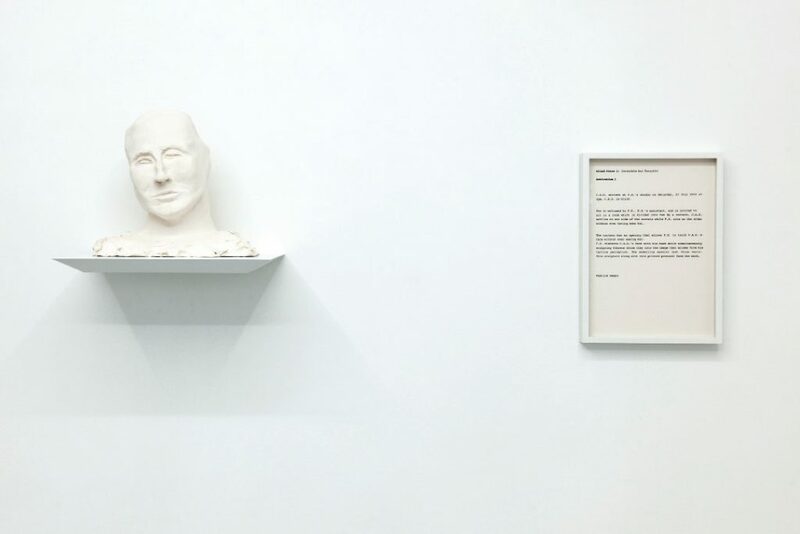 ‘Blind Piece1: Invisible but Tangible’ comprises a portrait made of plaster and a framed protocol. This text informs us how Fabrice Samyn made a tactile portrait of a blind woman without ever seeing her during a three-hour encounter. 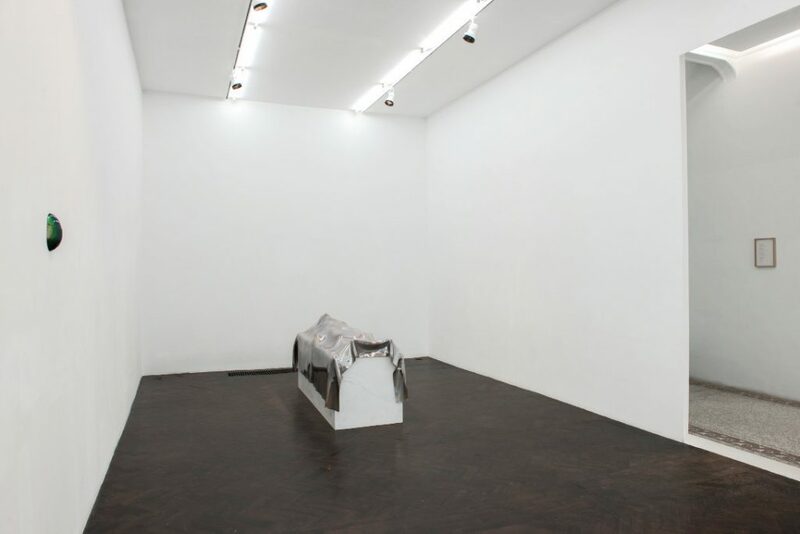 The artist, while equally and temporarily blind, addresses further visual issues other than being physically blind – the sight of memory – of all the previously seen faces, shapes, and forms. 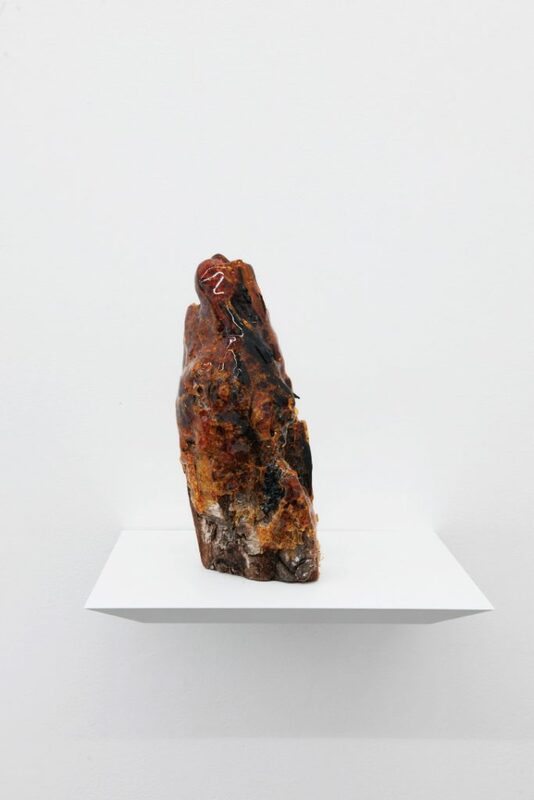 The use of metaphor and symbolic objects, which are able to veil what is visual and lay bare the invisible, removing us from the present to extend and represent time, is central in Samyn’s work. 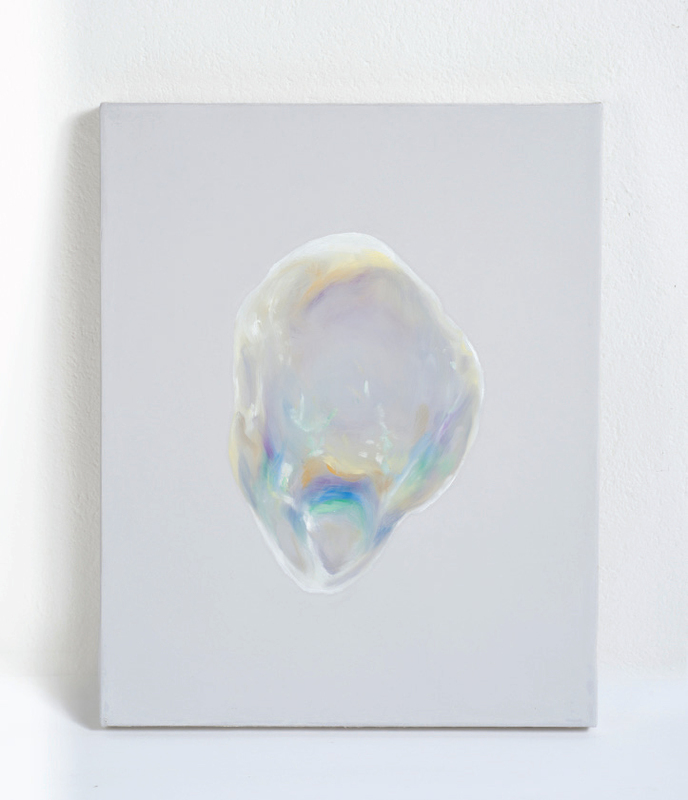 By taking advantage of these resources, the artist examines the illusory nature of image, in which the viewer oscillates between a present conscious analysis of the self in the world and a state of selflessness. 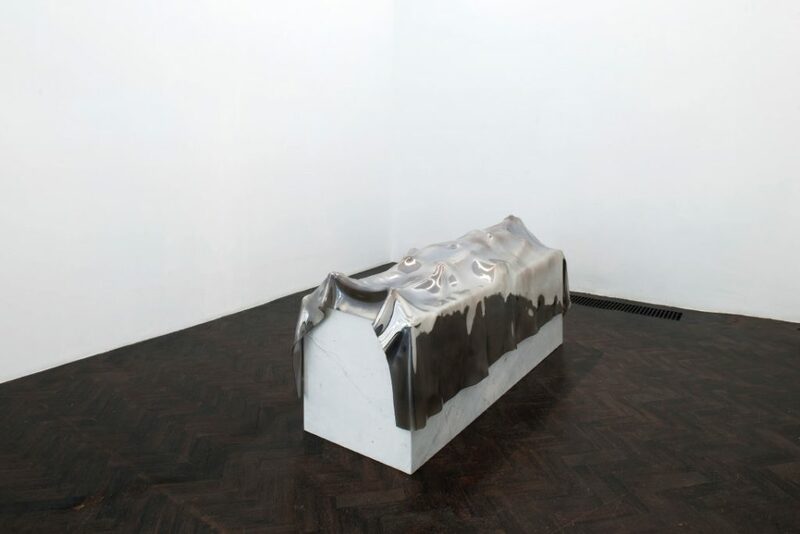 The artist creates an ‘in between’ space – body/artwork, space/time – where, in abandonment, the body gradually shifts to the work and the work to the body. 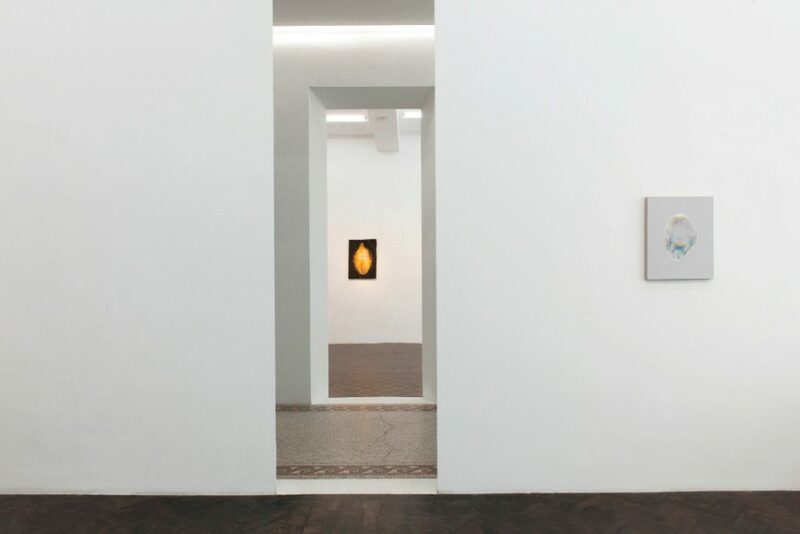 Exhibition view, Fabrice Samyn ‘Solipsism’, Meessen De Clercq, Brussels. Courtesy of Meessen de Clercq. Burned wood and rosin, ca. 90 x 25 x 23 cm. Courtesy of Meessen de Clercq. Burned wood and gold leaves, 72 x 51 cm. Courtesy of Meessen de Clercq. 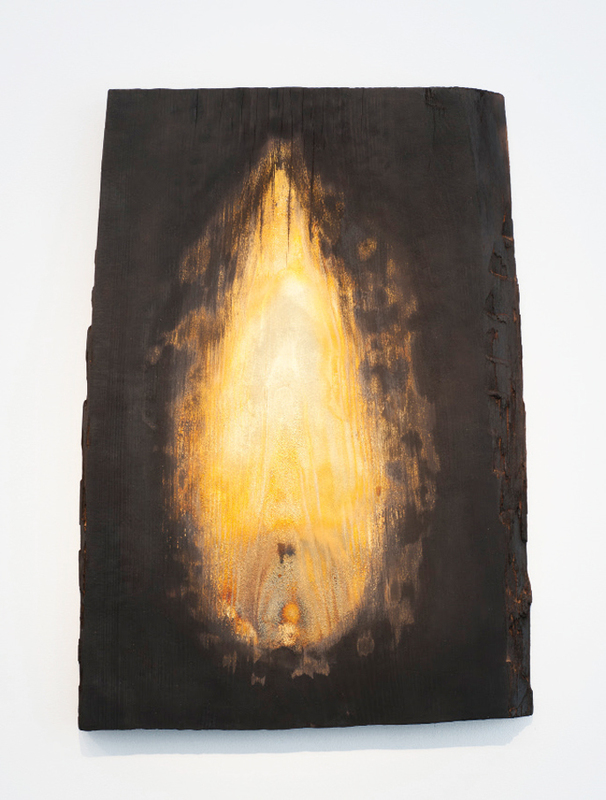 Untitled from the series ‘Black is Virgin’, 2016, Burned wood and rosin, ca. 23 x 10 x 9 cm. Courtesy of Meessen de Clercq. Silver negative on glass, 18 x 13 cm. Courtesy of Meessen de Clercq. Glass and marble, 190 x 64 x 88 cm, Edition de 1 ex + 1 AP. Courtesy Meessen de Clercq. Human skull, lacquer, 16 x 11 x 5 cm. Courtesy Meessen de Clercq. Oil on canvas, 50 x 40 cm. Courtesy Meessen de Clercq. 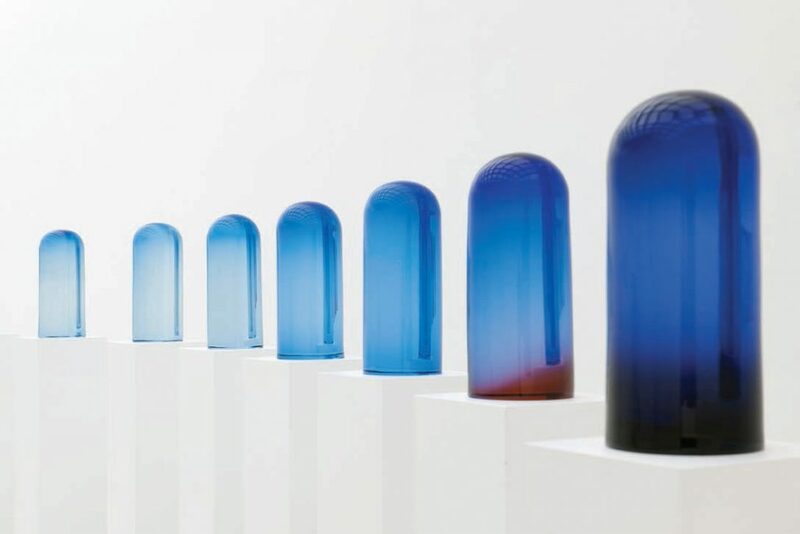 Glass, 40 x 20 x 20 cm (x 12), Edition 2/3. Courtesy Meessen de Clercq. 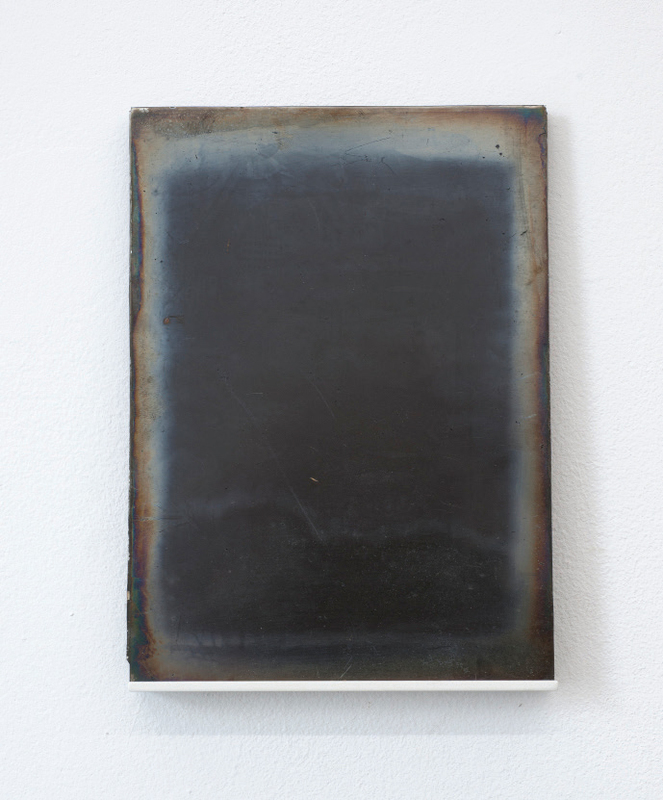 Plaster, inkjet print on paper, 26 x 22 x 16 cm (sculpture), 31 x 22 cm (frame). Courtesy Meessen de Clercq. Wood, paper, mirror, 34 x 33 x 18 cm. Courtesy Meessen de Clercq.